Okay, so here comes the story of second day trip at Sabang. But before that, I'd like to share about the first night staying at the bungalow. It was kinda scary because that day, I was doing my project around one hour (yes, I did my project, I even brought my laptop travel to another province) so it was about 11 p.m. that time, and my sisters, were asleep so I was alone that night. And when I was about to sleep, okay, this was the scary part. I heard the sound of the waves hitting the rocks and the sound of the bats flying around. Oh that's not the scary part anyway. This is the real scary part. I heard someone's footsteps was walking approaching our bungalow. I heard two person were talking to each other. And I heard the sound of the brushwood moving. And when I was awake in the next morning, I saw a basket near our bungalow. That means there was someone came last night to took the things inside the basket. So the end! It's not a ghost story anyway. And well, I have to admit that it was really not nice staying in that resort. Why? Well, it was extremely hot there! There's no air conditioner. There's only a big ceiling fan spinning and still, it couldn't beat the hot temperature. 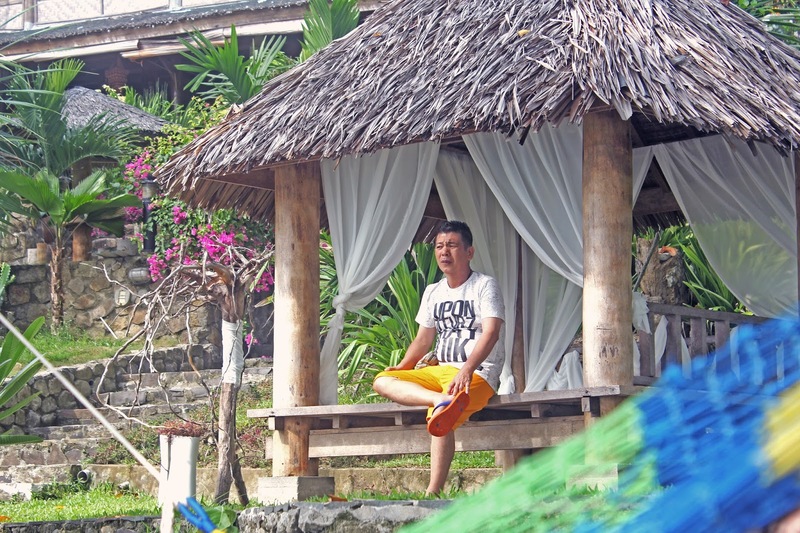 But then, the good thing of staying in that resort is that because they own a private beach and the view is nice there. So, early in the morning, all of us gathered in the resort lounge to wait for the bus. On the second day, we went to somewhere quite far from our resort. Our first destination was ZERO KM. 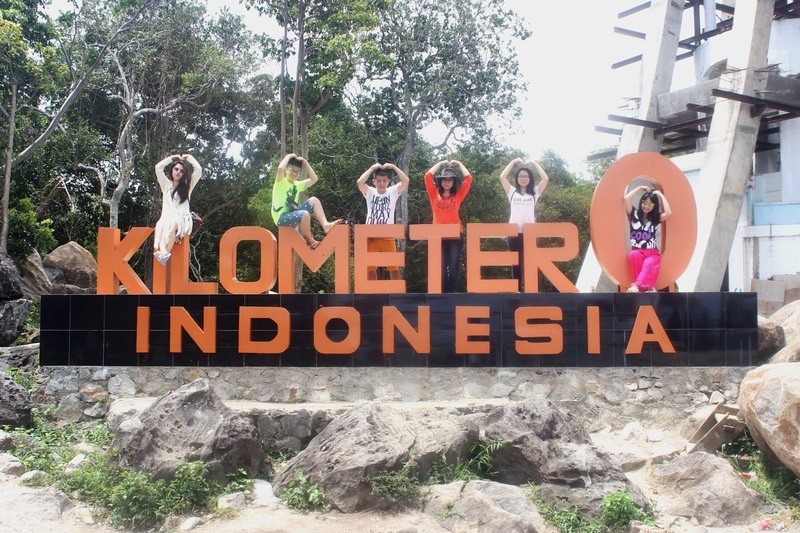 ZERO KM is such a popular place that you'd have to visit when you visit Sabang. 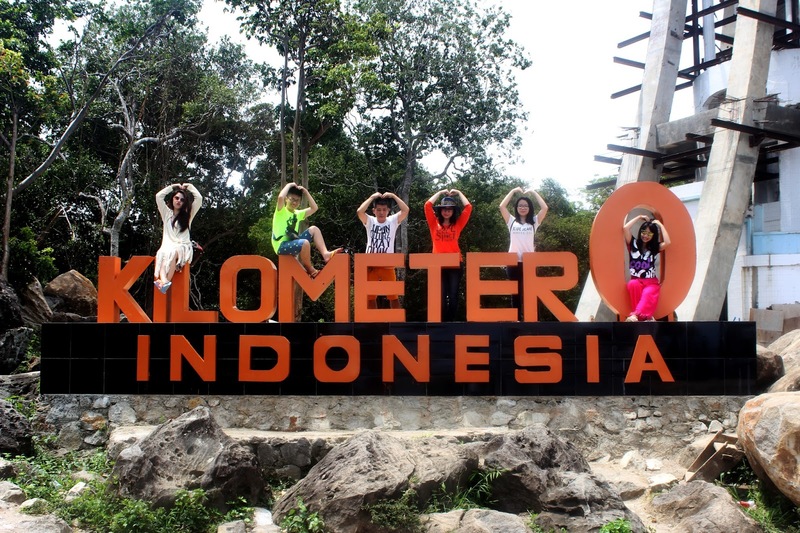 It's a nice feeling to stand at the starting point of Indonesia. And also, they got a very nice view there. You can also climb to a big rock outside the fence near the ZERO KM area. From there, you can see such a very nice view of Sabang. At the ZERO KM area, there were some small stands that were closed. So we sat there to relax for some moments and we ate our lunch there. But in the middle of eating lunch, some monkeys were climbing up to a higher place and those monkeys kept on watching us eating. Maybe they were hungry or something but then it was so dangerous for us to kept on sitting there. Who knows? The monkeys could attack us in any times. Then we quickly walk to the ZERO KM monument, we took photos there and we walked to another stand that sells coconut water. We sat there and enjoy our coconut water till some monkeys (different monkeys) climbed up again. They were seriously hungry I think. 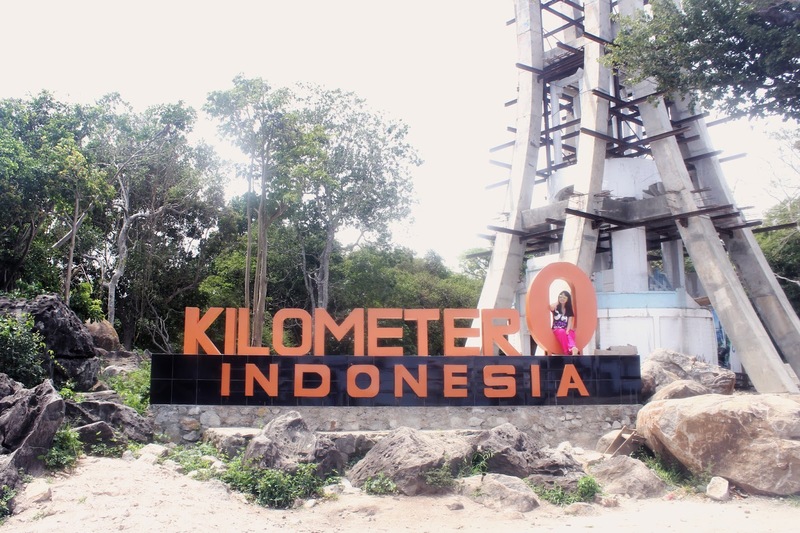 Okay so from the ZERO KM, we continued our destination to Iboih Island, the place for diving, snorkling, and any other water activities. Well, I didn't manage to took any photos because I was snorkling that time and I didn't have any waterproof camera stuffs so I couldn't took any photos at the Iboih. But then doing snorkling was so much fun, even if I didn't know how to swim. But my poor daddy, was punctured by the sea urchins and my younger sister got scars around her left leg because of the rocks. Snorkling was quite a nice experience for me, but then until I learnt how to swim, I won't do snorkling anymore. After that, we went to bus, bought dinner and went back to our resort and took shower. After we're done, we gathered at the lounge to have dinner together and spent our night there until it was the time for bed.